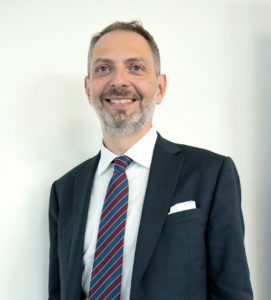 Antonio Albano was appointed general manager of AMC Italia, a company of the AMC (Alfa Metalcraft Corporation) international group, operating in the direct sale of high quality stainless steel cooking systems. Albano has a consolidated national and international experience in the Vorwerk Group, in which he held various roles in the commercial and marketing area, and where, as Head of strategic marketing, he contributed to strengthening the company’s omni-channel approach. Later he was general manager of TIENS Southern Europe, developing the business in the health and wellness products market. “My work as general manager of AMC Italia – Albano states – will focus on the growth of the numbers, not only the turnover, but also the sales force: in particular we will focus on young people, who can find interesting opportunities in the profession of AMC consultant. This structural growth will also be accompanied by strategies aimed at increasing the brand awareness and the digitalisation of AMC Italia, in order to always be able to meet the needs of the food market, enhancing the uniqueness of the AMC customer experience”.